Get Your Pass for the London Screenwriters’ Festival in the spring of 2020… That’s the 10th anniversary and we will be pushing out all the stops! Join 1,000 screenwriters, producers, directors and other industry professionals for our best festival yet in the Spring of 2020! Again, we are offering the option of spreading payments. You can do this with either PayPal or by Direct Debit with your bank. If you don’t want to pay with PayPal, Eventbrite or Direct Debit, here’s how else you can pay. You can pay with your card at checkout by selecting PayPal and selecting the credit card option once taken to the PayPal page. If you have problems with this, drop us a line at judy@londonswf.com and we will get you sorted out ASAP! 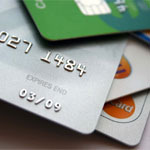 If you would like to pay using internet banking, drop us a line at judy@londonswf.com and we will send you the details. Once we confirm funds have arrived in our account, we will sign you up. Easy. What happens when you pay? After payment clears your LSF adventure will begin right away. You will be invited to join the delegate network where you can watch past sessions and connect with other screenwriters, producers, agents, actors and directors. 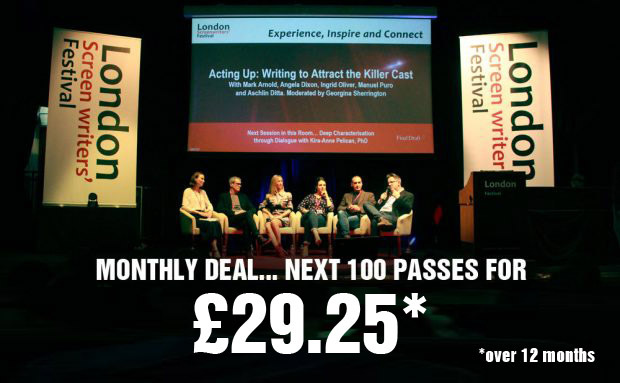 LondonSWF is the biggest professional screenwriters event in the world. Now in its eighth year, the festival returns over the weekend of 17th to 19th of April 2020, bigger and better than before. Get your ticket now and secure your place. We offer a full money back guarantee if you need to cancel up to 45 days before the festival. 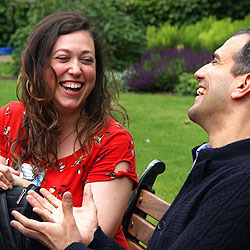 LSF covers more in three days than most screenwriting courses cover in several months – brilliant!